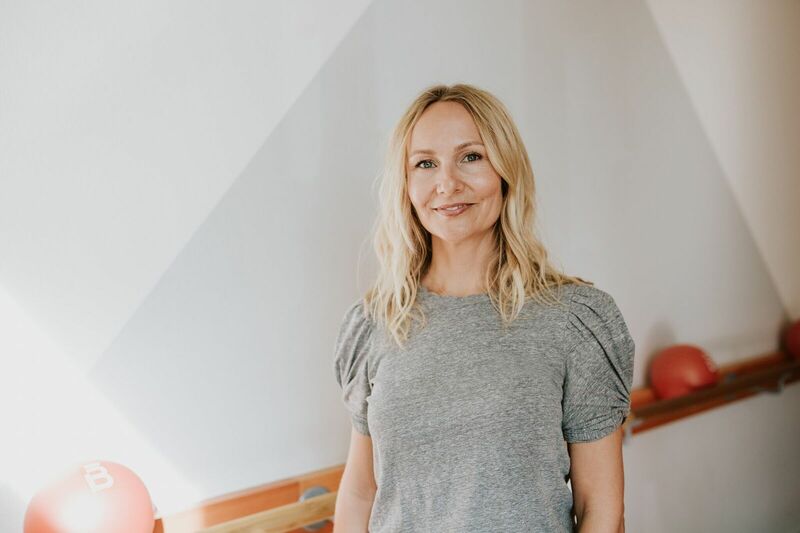 The founder and CEO of buzzy fitness franchise barre3 opens up about the lessons she's learned along the way. My husband, Chris, and I opened the first barre3 studio in Portland, Oregon, 10 years ago. Today we have more than 146 studios in the U.S., Canada, and the Philippines; active subscribers to our online workouts in 98 countries; and a thriving community of incredible men and women who inspire me every day. It’s been a wild ride, and while it’s fun to celebrate the wins, hands-down my favorite part of owning a business has been the opportunity to learn every step of the way. Here are my top-three takeaways, 10 years in. Lesson #1: It’s ok not to be liked. In my early years as an entrepreneur, I fell into the trap of being a people-pleaser and made decisions that were more about being liked than they were about building a strong brand that stood for something. I hired team members who I found endearing because they loved barre3, even though their skills and capacity to make us better was limited. I was also more timid back then about clearly marketing why fitness is failing so many of us, because I didn’t want to rock the boat and turn people off. This translated into a short era where we were a confused brand trying to offer something for everyone. Today I take a different approach that is paying off in a big way. We are crystal clear about who we are and who we are not. Sometimes this means losing customers, and that’s ok. For example, we don’t count calories or track how many are burned during our workouts. Calories and weight loss aren’t how we measure success in fitness. Instead we measure how our workouts give you energy and help you feel strong and successful in your body — just as it is in this very moment. We don’t tie our workout to an end result, and for some this is a turn off, but for many it’s a refreshing and empowering way to exercise. I am also clear about my hiring practice. We hire people who are aligned with our core values and who we are confident will make us better as an organization. I am no longer hiring people just because they need barre3. I am hiring people because barre3 needs them! This is a game-changer. Lesson #2: Building company culture is the good hard work. When Chris and I opened our doors 10 years ago, we had a very lean team. We knew every single client. I taught all the classes, checked people in and even held babies in childcare. Chris ran the operations, cleaned, and made sure the building didn’t burn down. We eventually hired our first small leadership team. They were attracted to the community we built and saw themselves in the values we lived by. We didn’t need a formal process to train on these values. We lived and breathed them. I was really proud of how seamlessly our culture bloomed in these early years, and I dismissed the idea that one would ever need to “train” on values and culture. Well, this worked in the early years, but as we grew it became very clear that we needed to be intentional about our company culture and develop a process around cultivating it each and every day. We had grown from four team members to over 100, and from one studio to over 120 nationwide. No longer can we assume that everyone knows Chris and me and what our company stands for. I learned that once you create a culture you are proud of, it doesn’t just automatically continue. We had a rough year where we lost some team members and learned that others felt disconnected. We learned that culture, like relationships, evolves over time and requires constant attention, communication, and trust. Today we weave our core values into every training for every employee. We do this in a conversational way where each team member is seen, heard and has a chance to integrate how they bring these values to life in our company. We also work really hard at being transparent, open and a place where people are trusted and empowered. Building a healthy and happy work culture requires hard work. It’s also the most rewarding work we do. Like many entrepreneurs, I have new-shiny-thing syndrome. I am a dreamer and an innovator, and I love creating solutions around problems I experience in life. I always thought that having structure and a narrow focus in business would squash my love of being a starter and a creative person. What I have learned is quite the opposite. When barre3 became clear and focused around our mission and began prioritizing our core product — the barre3 class — our creativity skyrocketed. We define a mission as what we do each and every day to reach our potential. Our mission at barre3 is to teach people to be balanced in body and empowered from within. We intentionally created this mission statement around our class because it helps us prioritize our energy around what we do best. Our class is the epicenter of our business and our success, and it informs what other services and products we offer. For example, we sell retail in our studios that directly ties into the client’s experience in class. We want her to feel good in her body while moving with us, and we choose products that are created by like-minded businesses, including women-owned companies, companies with a give-back component and companies whose products are made in the USA. Our retreats are another example of a service we offer that enhances our mission and core product. Each retreat we offer is centered around the barre3 class, with programs that enrich our client’s experience, including mindfulness, goal-setting and opportunities to build meaningful relationships. I have found that having a focused mission has allowed us to be much more targeted and efficient in how we innovate — and that has allowed us to do so much more for our clients with a very rewarding outcome. No longer are we distracted by ideas that pull us from what we do best. Today we focus our love of learning, change and innovation into evolving the barre3 class so it’s relevant, transformative, and engaging. Structure around a compelling mission has unleashed our creativity.